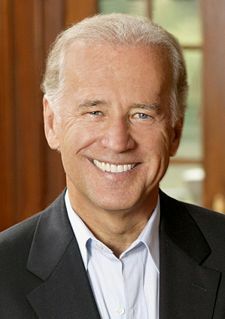 Vice President Joe Biden latest controversial statement has produced some interesting criticism. Biden was asked recently if the ban on certain guns would put people at risk. He responded by encouraging people to buy shotguns and fire them out the window. It was pretty dim-witted advice since that would be illegal, but is it sexist as well as stupid? 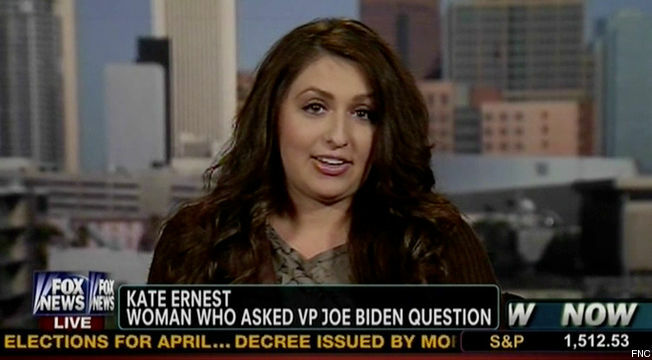 No it was not sexist, Ms. Ernest, just stupid. 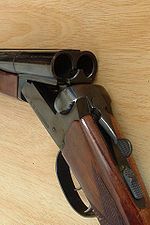 As a torts professor and criminal defense attorney, I can assure you that firing a shotgun out your window or porch is both illegal and negligent. State laws and regulations strongly reinforce the need to have a clear target or view in shooting a weapon and do not countenance shooting blindly out of window, even on private property or in rural areas. Yes, you may to scare off a prowler as well as gun down your neighbor. If his wife were to follow Biden’s sage advice, she would be looking at possible criminal charges for aggravated menacing, reckless endangerment, and other crimes in Delaware and other states. She would also be subject to tort liability for negligence, assault, and possible battery or wrongful death. It is not generally considered reasonable mistaken self-defense to fire a weapon out a window to scare off the neighbors. Indeed, not long ago, a prosecutor was arrested for such a warning shot. Now, the Ms. Biden’s possible defense is strengthened by the fact that he described his home as being “wooded and somewhat secluded.” Moreover a shotgun pellet has a shorter trajectory than a bullet. However, we have people hit every year by folks who think they can harmless fire guns in rural areas or in the air. This includes police officers, mail carriers, and others who lawfully come on to property as well as common trespassers in rural areas who cut across land like the recent tragic case in Oregon. You all might want to watch a video going around watching women shooting a double barreled shotgun and women shooting an AR15- big difference in the kick. Shooting “out back” in the air – generally not a good idea- obvious reasons as others have posted–to the people who are talking about needs vs wants – no brained – but that part of our freedoms – I work for social services and even the very poor seem to have some needs like beer and cigarettes and don’t have the money for food and diapers for their babies. So it isn’t just the wealthy who think like this – it is called freedom- people can talk about types of weapons, what is best, why we don’t need a certain model for self protection etc, etc, etc we obviously could go on for hours. We need intelligent laws, need to address mental health, background checks, gang violence, but the bottom line is the 2nd amendment. That is why in America we have the freedom to be a responsible citizen and if you are not a responsible gun owner, there are consequences. Limiting that right should not even be in question.This is why the administration and congress never get anything accomplished- they talk and talk, and little action. Get involved- write or call your reps in congress! Oh, also congratulations on your daughter’s graduation. Best school in the world to send a young woman to. The girl learned to stand tall, walk in a straight line, do a lot of pushups, and beat the tar out of the USMA women’s boxing team. There were a few other useful skills, too, along the way. We made the trek out I-66 and down I-81 many, many times. My daughter is graduating from Radford in May. So I have to make that trek from near DC. I spent a lot of time on I-81 north of Roanoke when my oldest daughter was at school in Lexington. Regarding that Holiday Inn. It was unusual they even had a room. On race weekend, you can consider yourself lucky to even find a room. The first time my wife and I drove up Interstate 81 on our way north sometime in the 1980s, it was late, we were tired and ready to stop. I pulled off at a Holiday Inn at one of the Bristol exits. The man behind the counter explained patiently it was race weekend and I would be lucky to find a room within a hundred miles. He was right. We did not find a room until we got to Roanoke, VA.
As soon as we moved to this area I started trying to get tickets to a Bristol race and found you almost have to wait for someone to die before you can get a ticket. The first year I managed to get a ticket to a Winston Cup race, I went down to the ticket office before they opened one September morning. The deadline for regular customers to renew their tickets is usually around September 15, so the trick is to go the next day. Ticket office opened at 8:00 and there was already a line when I got there at 7:30. I got tickets for myself and my daughter in the “no-alcohol” section. BTW, that is always a good idea if you ever plan to attend a NASCAR race.